“We are continuing to work with and await guidance from the appropriate federal agencies on screening measures that will be taken. 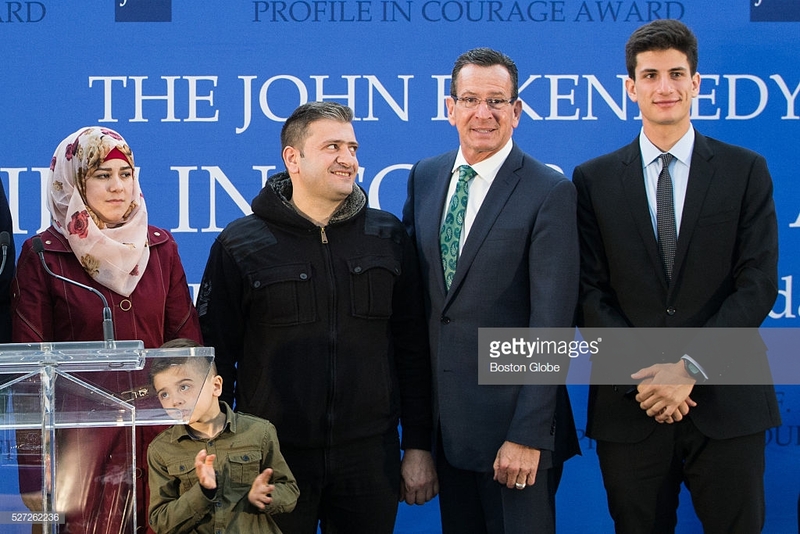 With that said, if refugees – many who are children fleeing a horrific war-torn country—seek and are granted asylum after a rigorous security process, we should and will welcome them in Connecticut,” so said a spokesperson for Governor Dannel Malloy, according to a piece in the Hartford Courant. There are some obvious difficulties with this passage. Syria is administered by an odious dictator, perhaps even more ruthless than the father who preceded him, and rigorous screening measures such as those mentioned by Malloy are not always possible in horrific, war-torn countries. Of course, a screening examination of even the most cursory kind is never possible in the case of illegal aliens from wretched countries such as Honduras and Guatemala who, crossing through Mexico, bum-rush the US border and thereafter become nearly invisible tucked within a welter of humanity – unless they call attention to themselves by violating a law other than the immigration laws winked at in sanctuary cities. Such difficulties have not stopped Malloy from opening the doors of Connecticut to unverified illegal immigrants, some of whom may be found in Connecticut’s sanctuary cities such as New Haven. FBI agents intercepted a recording between Allouz and a doctor at a Connecticut prison in 2017 in which Allouz said, “If I don’t slaughter her here, I will slaughter her in Syria. I will not do anything here. But in Syria, I can do anything I want.” The American feminization movement has yet to reach war-torn Syria. A sanctuary city is one in which those seeking refuge – in the case of Syria, some refugees whose background will not be revealed by a “rigorous security process” – are given sanctuary and insulated from the impertinent intervention of the US Immigration and Customs Enforcement (ICE), an agency charged by the US Congress with deporting refugees who are in the country illegally or others who should be detained until they have passed rigorous “screening measures.” Had police officials in New Haven’s sanctuary city immediately contacted ICE when Allouz first terrorized his wife, ICE might have arrested him earlier. And Malloy, as well as other members of Connecticut’s all-Democrat US Congressional Delegation, might have interceded with US State Department officials to get this domestic terrorist out of Connecticut – away from the woman he was terrorizing. None of this happened because sanctuary cities force a breech between municipal law enforcement officials and ICE through a process of nullification in which governors who receive profile in courage awards are able to decide precisely which laws passed by the US Congress they will or will not obey, sometimes with murderous results.